I hope y’all brought your pip baskets because the EUR/USD setup that I pointed out a couple days ago is finally ripe for the picking! 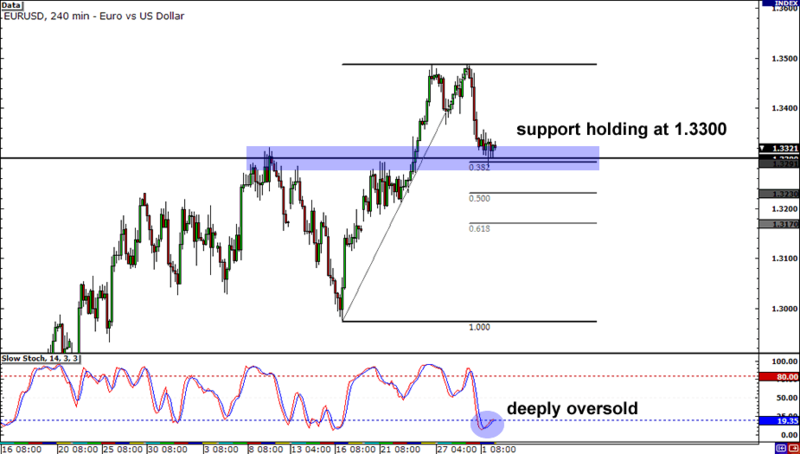 Right now, the pair is hanging just above the 1.3300 handle, which just so happens to line up with the 38.2% Fib level. The market seems hesitant to cross this area, since it hasn’t moved much in the past few hours. Meanwhile, Stochastic is turning up after swimming in the deep end of the oversold pool. All in all, these seem signs that the pair’s destined to rise and possibly retest its former high. But be wary of a breakout as well because EUR/USD’s bearish momentum could force it to forge fresh lows. The pound has been tearing up the charts in its battle against the dollar, and it’s been doing so at an awesome pace. We’re talkin’ Usain Bolt-esque! 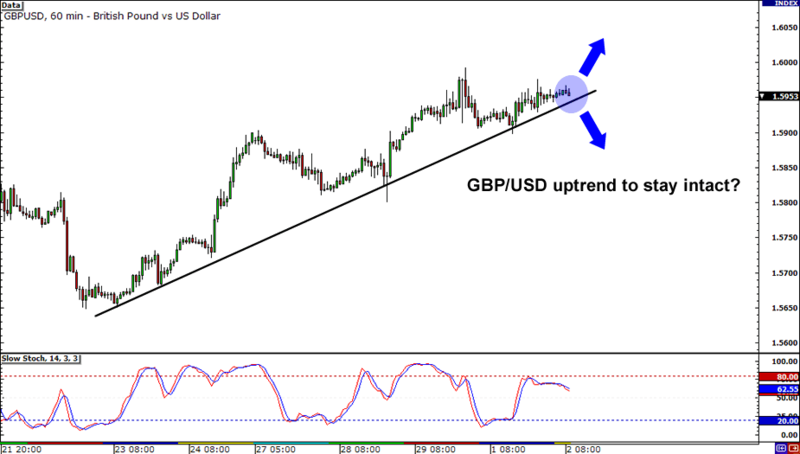 Just take a look at that sweet rising trend line that it has formed over the past week! 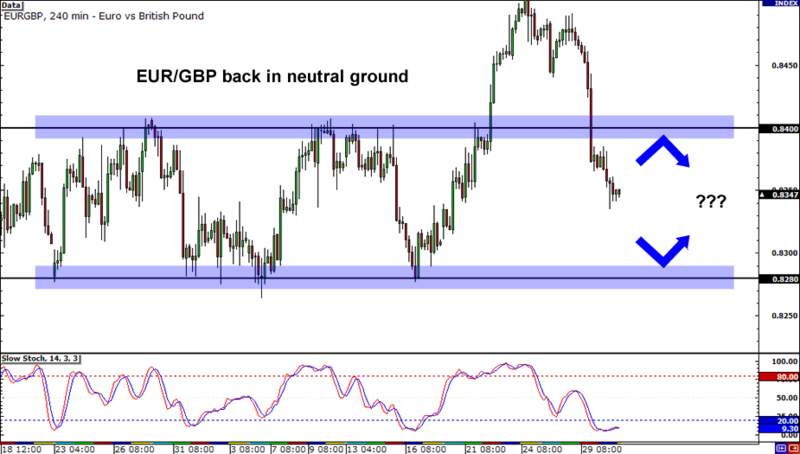 Momentum seems to be siding with the pound at the moment, and it looks as though GBP/USD is on track to hit 1.6000. But with the way price has been flirting with the trend line, it would be wise to make provisions for a possible breakout as well. Lucky for you, the School of Pipsology has an awesome lesson on trading breakouts! It looks like EUR/GBP didn’t like the weather above .8400 as the pair has fallen very sharply over the past couple of days. Now, it’s back in neutral territory, right smack in the middle of its former range with support at .8280 and resistance at .8400. This only means one thing: it’s back up for grabs! I would look for the pair to retest its former support and resistance levels, as these have been proven to be areas of interest.